One of the coolest new features that LinkedIn recently launched is the ability to access statistics of any LinkedIn Group you want to join or are currently a part of. This information is great for figuring out if a LinkedIn Group you own is active or not, but it's also a great way to gain insights for generating leads from LinkedIn. To access the Group Statistics for a specific LinkedIn group, browse to the group and click 'More' in the group's top navigation. Then click 'Group Statistics' from the drop-down menu. LinkedIn Group Statistics doesn't only tell you how many members are in a group or how active those members are; it also gives you other key insights about the group's members such as locations, seniority, function, and industry. This information can be massively beneficial if it's used right. Here are 4 ways you can use LinkedIn's Group Statistics to optimize your business' lead generation efforts. Participating in group discussions can help you grow your company's reach, but if you join a group with employees mostly working in IT and you're trying to sell a product to management consultants, you'll be wasting precious time you could have spent elsewhere. Sometimes a group's title can be deceiving, but by using the statistics tab, you can easily determine if a group is right for you. More importantly, you can see if a group is active and whether it is worth your time to join and participate. As you establish yourself as a thought leader in the right group, you'll be able to gain authority. From there, you'll have the ability to introduce fellow group members to interesting and helpful blog posts, ebooks, and webinars on your site, and convert appropriate group member prospects into leads! Ads on LinkedIn can be super effective, but if you really want to optimize your ad spend on LinkedIn, you should have awesome targeting set in place. The problem is, many people rely on hunches rather than data when figuring out how to target their ads. Using LinkedIn's Group Statistics can be a great way to leverage valuable data and maximize your spend. 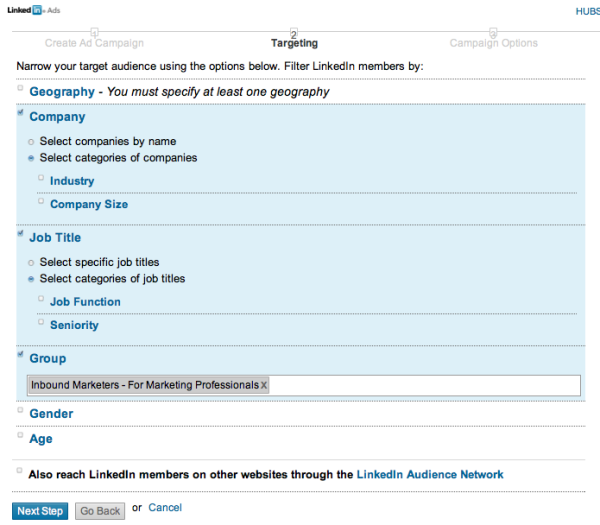 Did you know that you can segment and target your LinkedIn Company Products Page? It's a really nifty feature, and it can be a great way to increase the likelihood that people visiting your page will convert into leads. 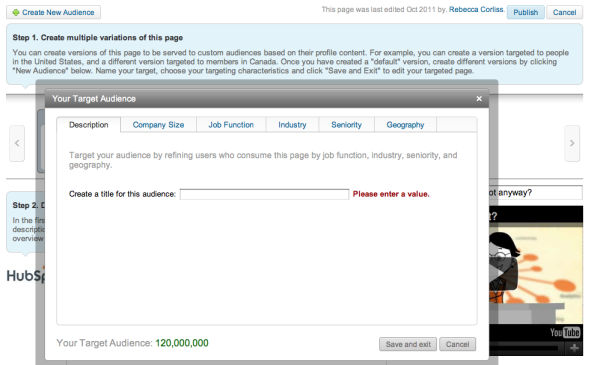 The Group Statistics feature can guide you in how to best segment your Products Page on LinkedIn. For example, if you're looking at a group with 50,000 members and 25% of members are the owner of their company and another 25% are managers at a company, it may make sense to spend some time changing the copy on your product page to tailor to each of these audiences. You may also want to place different offers that appeal to the different needs of these two audiences on each of these targeted pages. After all, an owner and a manager do have different needs. You can almost think of appropriate LinkedIn Groups as a sample size of your prospects to figure out who they are and what they're looking for. Perhaps you're trying to sell banking and finance software and don't know who your core audience is or where to find them. Looking at LinkedIn Groups, you'd notice that there's a Banking and Finance Technology group that has over 30,000 members, most of which are international. You could then use those insights to inform your other marketing efforts. Maybe you could build a Google AdWords campaign that's geo-targeted to the areas that matter, blog about international news, and make sure that your social media updates take international time zones into consideration. LinkedIn has always been a great social media platform for generating leads, but with Group Statistics at your fingertips, you now have the ability to leverage LinkedIn's potential in other marketing channels as well. Think of LinkedIn Group Statistics as free marketing data that doesn't have to live in solitary confinement on LinkedIn. Those insights can be applied anywhere, and as an inbound marketer, that's a pretty lethal weapon to have. What other interesting ways can you leverage the insights from LinkedIn Group Statistics.